Getting good sound for your home entertainment can be prohibitively expensive, but it doesn&apos;t have to be. Logitech&apos;s newest sound system, the Z906, will have your games, movies, and music sounding better than an Olivia Wilde photo shoot. The 500-watt, 5.1 (five satellites, one subwoofer) speaker set is THX-certified, and comes with a remote control, a control console that lets you keep an eye on how everything is rockin&apos;, and sports digital and analog inputs. There&apos;s enough jacks to hook up six audio sources—so you won&apos;t have to disconnect and reconnect the system when you want to stop playing Xbox and listen to your iPod or watch a DVD. The set will run you $400, but for the quality of sound you&apos;ll be getting, consider it a steal. 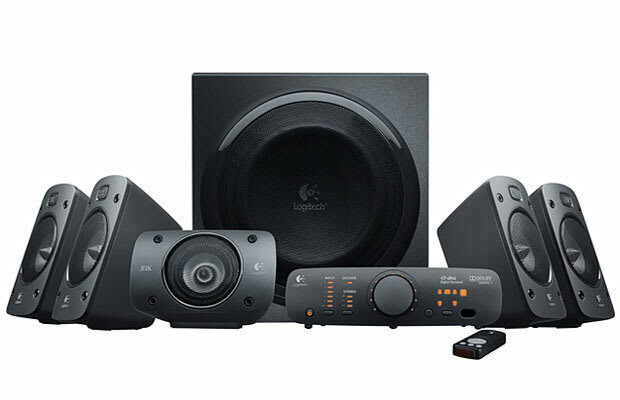 Head over to Logitech to place your order.